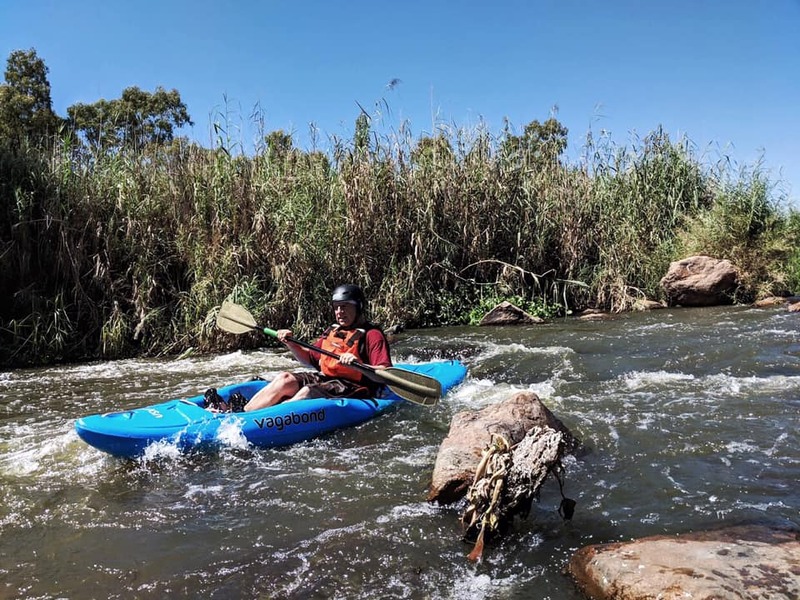 The Usutu is an ideal whitewater kayak for beginners. 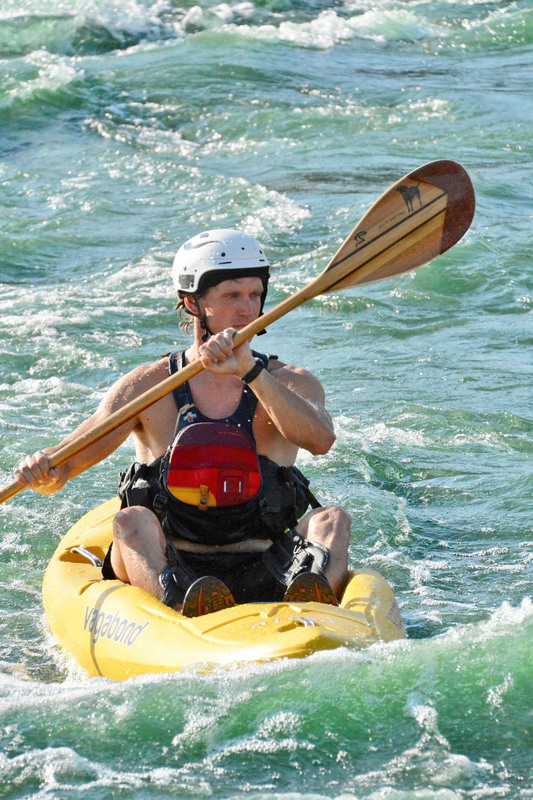 It allowed experienced paddlers to take friends down nice river sections. The Usutu is accommodating to those that lack skills and experience. 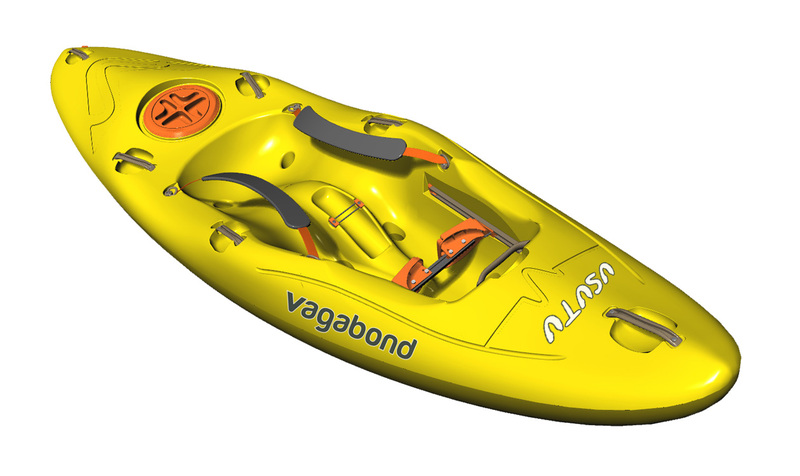 The Usutu makes a great safety kayak as guides can easily hop in and hop out to take photos and assist clients. 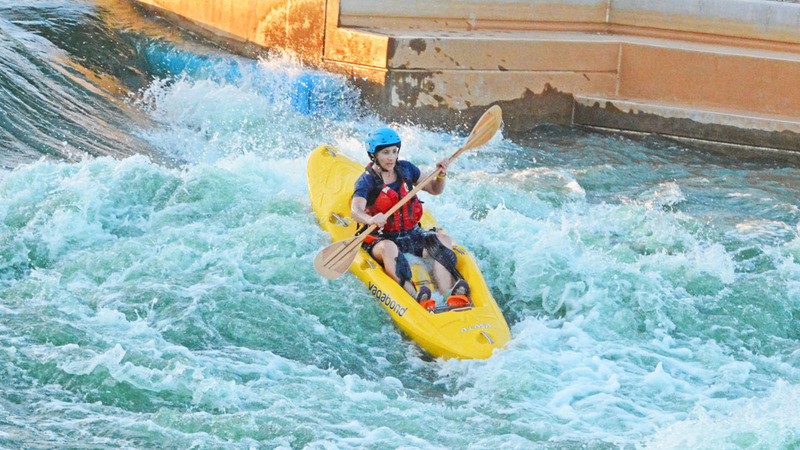 The Usutu taking rapids at the Riversport Adventures OKC whitewater course in Oklahoma City in style. 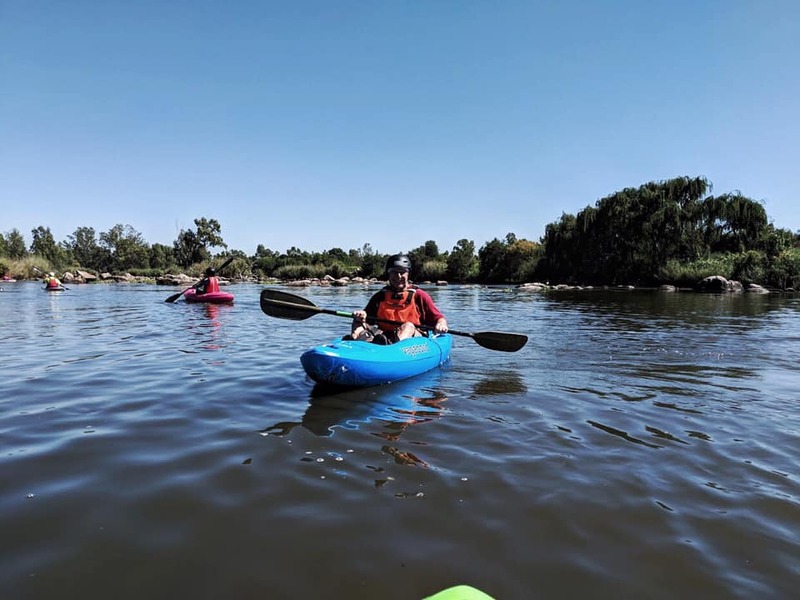 The Usutu at the Riversport Adventures OKC whitewater course in Oklahoma City. 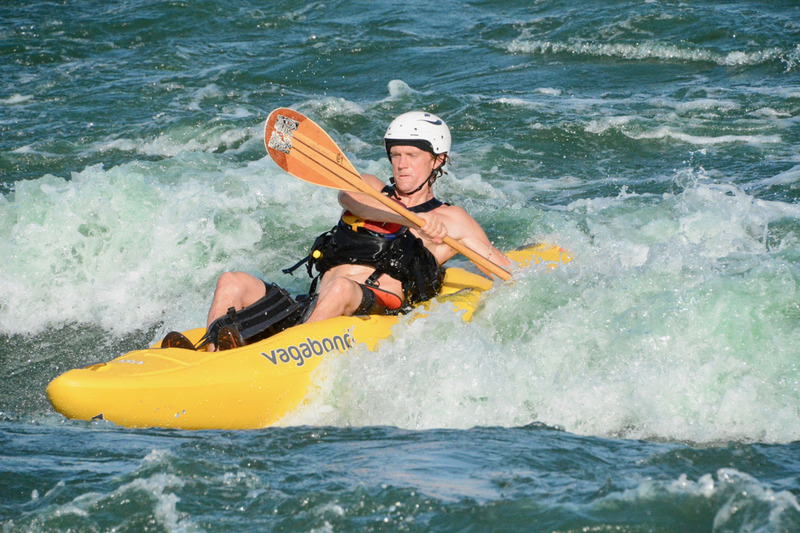 John Vogler surfing the Usutu at the Riversport Adventures OKC whitewater course in Oklahoma City. 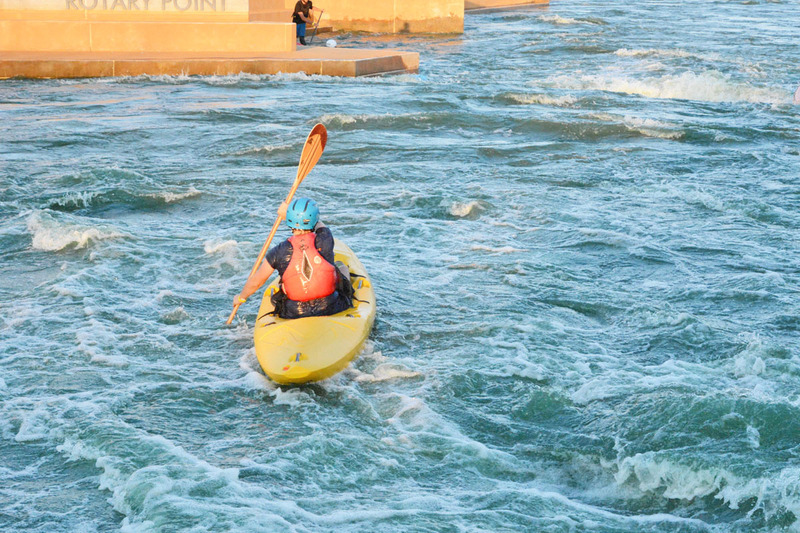 The Usutu going into the bridge rapid at Riversport Adventures OKC whitewater course in Oklahoma City. 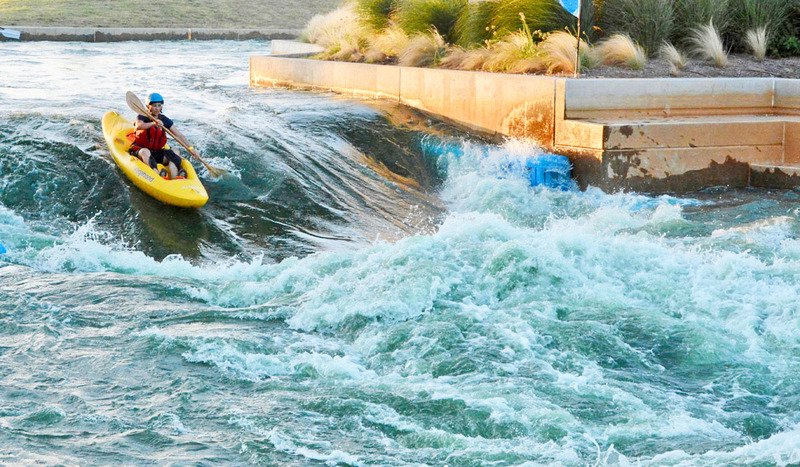 A clean run by the Usutu at the Riversport Adventures OKC whitewater course in Oklahoma City. 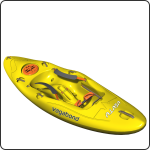 The hatch and large volume of the stern of the Usutu mean that multi-day whitewater trips can easily be done. Strategically-placed handles help when dealing with swimmers in a rescue situation. Thigh straps give you better control but they don't tie you to the deck. Should you capsize, your knees slip out to free you before you've even realised that you're over. You can use the thigh straps to roll the Usutu too. Grooves in the hull protect the bottom edges of the scupper holes from impact and abrasion. The size, curve and placement of these grooves actually assists in the control of the boat when catching eddies or doing ferry glides.